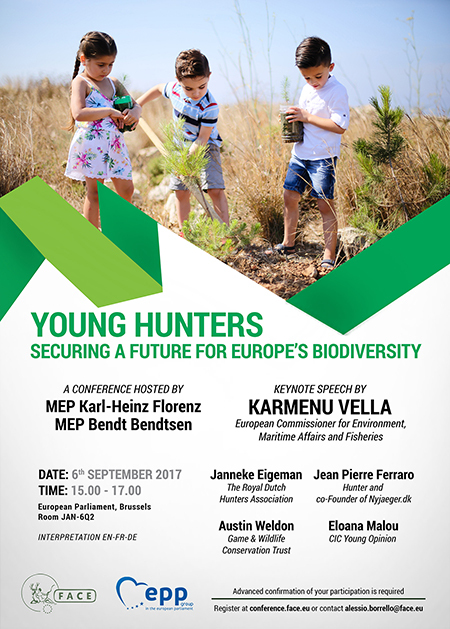 With a focus on young hunters, the panel members will discuss the future of hunting in an increasingly urbanised world as well as the contribution of European hunters to the goals of the EU Biodiversity Strategy to 2020. It will also focus on how best to support the contribution of hunting – especially by young hunters – to nature conservation and wildlife management. KARMENU VELLA – Commissioner for Environment, Maritime Affairs and Fisheries – will open the event with a keynote speech.